Why 3CX VoIP system over traditional phone systems? 3CX VoIP phone system is a Software-based IP phone system that replaces the need for traditional PBX hardware. 3CX is a complete Unified Communications solution, which includes features such as web conferencing, presence, softphones, smartphone clients and more – without the inflated cost and management of an ‘old style’ PBX telephone system. Employees or people working from outside the office can make calls free of charge – saving you significant charges. Connect remote offices by using bridges and all calls between offices are free. International DIDs and IP Telephony allow customers to call you cheaply and increase customer satisfaction. A 3CX VoIP phone system uses VoIP to carry voice calls and runs on a Windows based system that can be located on your premises or hosted in the Cloud. External calls are either routed through VoIP gateways connected to your existing phone lines, or through your internet connection using VoIP. When you choose to buy 3CX VoIP phone system – you’re paying for the software license. Additionally, you’ll need dedicated hardware such as server/PC (either virtualised or physical) phones and any other associated hardware, phone lines and connectivity – based on your chosen infrastructure. You can download the Free PBX edition. Alternatively, 3CX phone system is available in three editions Standard, Pro and Enterprise. You may require an additional license key for backup and certain advanced call centre features are available. Licensing is based on the number of simultaneous calls you make. 3CX works with most IP phones and SIP trunks, and with a VoIP gateway device, it can be connected to the standard PSTN. 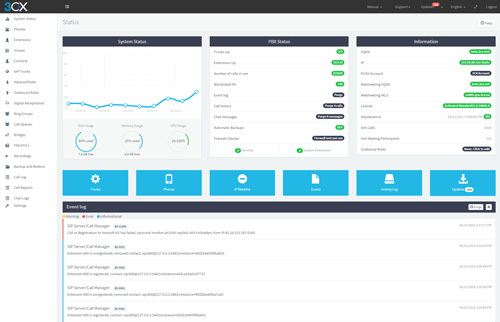 Launch calls directly from your CRM package. 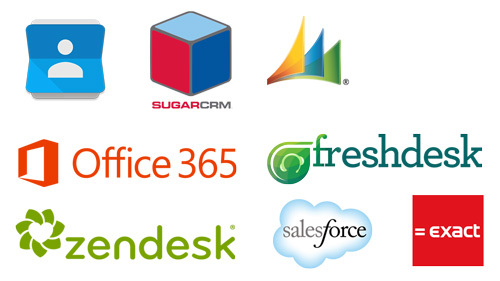 Inbound calls are matched to customers based on the caller ID and logged in your CRM system. Accurate call journalling of inbound and outbound calls with call duration allows you to generate insightful reports on customer and agent activities. With 3CX’s softphones for Mac and Windows you can manage your calls from you desktop and make and receive calls via the office phone system from your computer, even while out of the office. 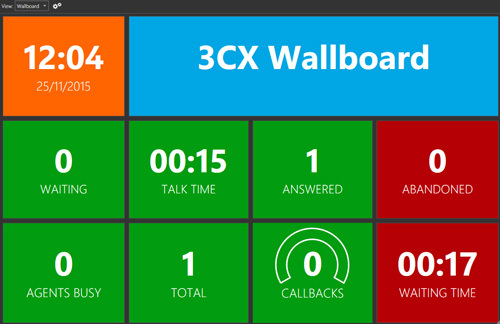 Using a headset you can even use a 3CX client as a full desk phone replacement. I consent to https://www.infotech.uk.com collecting my details through this form. Get in touch, send us an email and we'll get back to you, asap. I consent to www.infotech.uk.com collecting my details through this form.